The Nativity of Jesus Christ is almost here! Catholic believers, mental illness, social media: why the silence? A devout Catholic woman, disappeared from Holy Rosary Catholic Church in Portland, Oregon on December 2 early in the morning; edit- December 13th- she is now found- and her husband asks for no questions. Perhaps from not taking medication for depression or manic episodes, she fasts from all food for the sins of the world and goes to adoration chapels. For a woman of 100 pounds and 5' 8'', she is in grave danger of death six days into her disappearance. The silence on social media is deafening. Is it embarrassing to share this story- a mother of a young child who makes a habit of wandering off, fasting on no food for days for our sins? Are we hesitant to diagnosis her with mania or obsessive compulsive disorder and then think we are superior to her sorrows? Do we think that a devout Christian should not suffer from a mental illness? or perhaps we refuse to believe in a mental illness and rejoice that she is a victim soul? In any case, please share the news story, look out for her at adoration chapels, and keep her in prayers as she is most likely very close to death. 1. Take the Lord's name in vain and do not reprimand your children when they take the Lord's name in vain. Tolerate media, music and movies that use our Lord's name as a swear word. 2. Do not set Sunday aside as a day for Church and family. Don't prepare for a peaceful Sunday by filling the van up with gas the day before and tidying up said van for a peaceful trip to church. Don't set out appropriate church clothes the night before the Divine Liturgy so that the children know that Sunday is a day set apart by God. If you have a Saturday vigil at your church, make sure to just 'get church out of the way' Saturday evening so that you can be really busy all Sunday. Ignore the commandment that the Lord gave to Moses and the people of Israel- "Remember the Sabbath day, to keep it holy. Six days you shall labor, and do all your work, but the seventh day is a Sabbath to the LORD your God." That was the old days! Moses and then Jesus lived in must simpler times when all people had to do was farm and occasionally attend a wedding. Now we enlightened ones in the 21st century have homework, shopping, soccer. Make sports a top priority. Nothing could be more important in 2016. 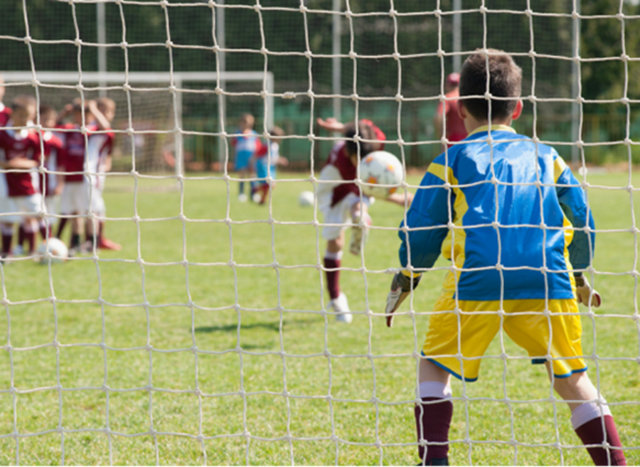 We must keep our children busy with activities like sports if we want them to be successful, normal people.Your children might become professional sports stars. Even on the off chance they do not become pros, sports teach kids sportsmanship, dedication and team work. Church is a distraction from such important sports virtues and the worst might happen if your family dedicates them to Jesus and the Church- they might become monastics- monks or nuns! Is outrage! the most important thing in life- best played on Sundays before lunchtime! 4. When receiving Holy Communion and leaving the church building after kissing the cross, be certain to wave, talk and guffaw to acquaintances and friends. It doesn't matter that a few Latins are trying to pray a bit in thanksgiving for the Eucharist and that you will see everyone in ten seconds outside the church and then spend an hour or more together in the coffee room; if you do not loudly greet them during the church service, they will be put out that you are not friendly. Being Christian is all about being really friendly- especially in the church building during prayer time. It is also helpful to talk with friends during the homily, most especially if your church has two homilies- in an 'old country' language and in English. Talk to your friends during the homily in the language that you do not understand. How can you be expected to be silent for five minutes! Your children certainly should not be expected to either! 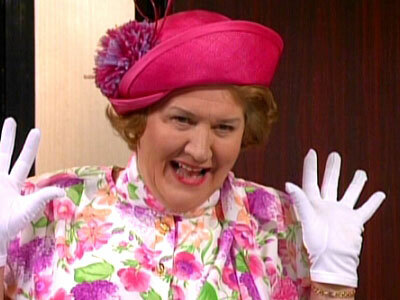 Don't be distracted by prayer in church; Hyacinth is inviting you to a candlelight supper! 5. Be sure to bring lots of toys (preferably hard plastic) and books (secular- they must be interesting- not 'fanatical' as a saint book would be) to entertain your small children. If your children are under 11 years old or so, make sure to bring lots of snacks and juice so that they do not get hungry during the hour long church service. Be sure to not demand that children go potty before church so that- even if some of the children are engaged in the service- there is constant distraction and each child eventually needing to go potty during the long hour and a bit service. 6. If your young children are making any noise at all in church, be sure to take them out of the service and berate them angrily and do not return to the service because they might start talking again and it is just easier not to be in the building- or- take no notice that your children are loudly singing the theme to Sponge Bob during the homily. 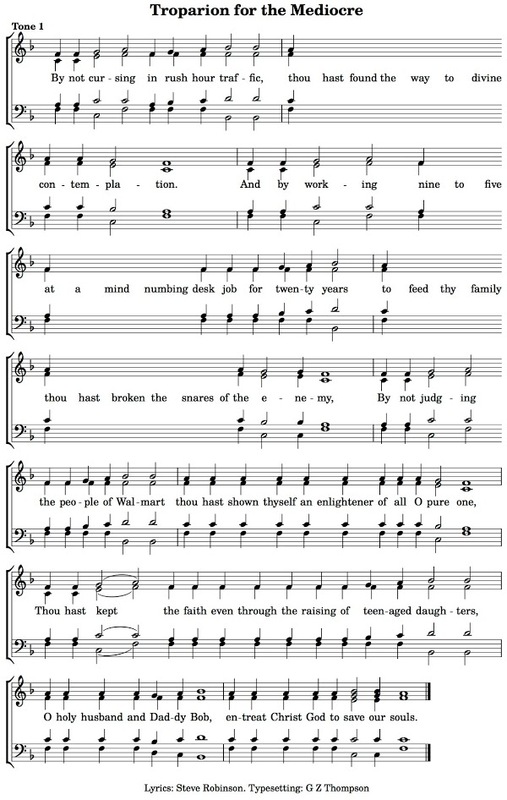 Anyway, it is the 'old country' language homily, so no one understands it except the old country immigrants. 7. Do not forget this key way to destroy your children's faith- judge priests and religious and discuss the priest's failings frequently with your kids. Did he leave the confessional at 9:30 PM (when confessions were scheduled from 6:30 to 8:30)? Ask your kids- "what else does he have to do but minister to us?" 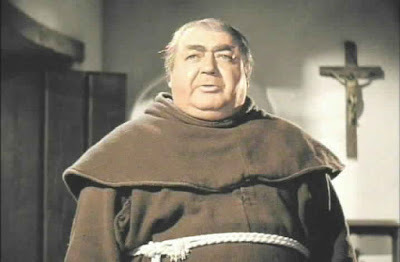 If you see a priest on the golf course on Monday morning, ask your kids- "shouldn't he be ministering to people?" If you see your priest's grocery cart with some non-fasting items, point them out to your kids-"see, even Father doesn't fast!" Be sure to make fun of your priest's accent- Romanian, Mexican, Indian, Ghanan, Ugandan, Nigerian, Chilean- do not point out that the local mega parish of 5,000 families has not had a priestly vocation in thirty years of a 'native born' man. All the priests and deacons have funny accents. Complain about any money that is paid the priest. Do not give him a stipend if he administers a sacrament or comes to bless the house- he didn't get into the priesthood to get rich, right? Point out to your kids every time the priest makes a mistake in the service. If he makes a grammatical error during the homily, snort and roll your eyes so the children will notice the mistake. It is for their good; you wouldn't want them to make the same mistake! Grammar is important! The opportunities to judge a priest or deacon are even greater when he is married. Did his wife forget to smile? Did the children act up during church? Did any of the family drop the ball when it came to ministry? Point out their shortcomings to your children so they feel superior to those clergy family people who spend too much time in church. look at the chubby friar! he can't fast! What a hypocrite! 8. What about fasting? Do not bother! Only monks and nuns fast! Well...maybe they do. Who knows! The Church is so out of touch. It is so complicated to not eat meat. We Westerners are so busy with other activities and grocery shopping is so difficult. I sometimes have to cross the street in my Honda to get to a second grocery store when I want to buy my vegan items. Such a struggle. Those in developing countries have it easier; they just have to choose between sweet potatoes and grains. Anyway, only liberal atheists go vegetarian. I suppose to hedge your bets, fast when in public and then eat meat when at home or in a restaurant if you think you won't bump into a fellow Eastern Christian. You wouldn't want to scandalize them. If you do decide to try and fast according to traditional guidelines, be sure to emphasize the weight you hope to lose, not the virtues you hope to strengthen. If your family does decide to fast, make sure your children feel superior to Latin Catholics with their non-existent fast. Also, talk behind the backs of those not fasting for health or other reasons. 9. Have no prayer life in the home. You do not want your children to be fanatics! Never talk about Jesus outside a church service. Never read the Bible in the home. Do not let the children catch you going to confession, reading the Bible or praying. Do not have an icon corner. If you do have an icon corner, use it for pretty decor (like Cher having a crucifix collection or the singer Madonna wearing rosaries in the old days) and never use it to inspire prayer. If your television is next to the icon corner, this will help keep it secular space. Do not forget to keep the television on at all times to keep the home filled with noise. But if you do decide to pray in the home, be certain to emphasize fire and brimstone-style theology with no talk of God's love and mercy and demand family prayer when children are tired, hungry, and thirsty and dad is busy in the garage or with video games. 10. What to do about the ethnic 'problem' in the Eastern Churches in the US and Canada? To destroy your child's love of Jesus and the Church- you should decide to only attend a service where the priest and community are from your old country- preferably the same county. God and Church are only important because He speaks the same language, eats the same food, and wears the same national folk dress that you do. If Romanian was good enough for Jesus, it is good enough for my kids! Be certain never to attend a service of a different ethnicity even if it is the same rite. 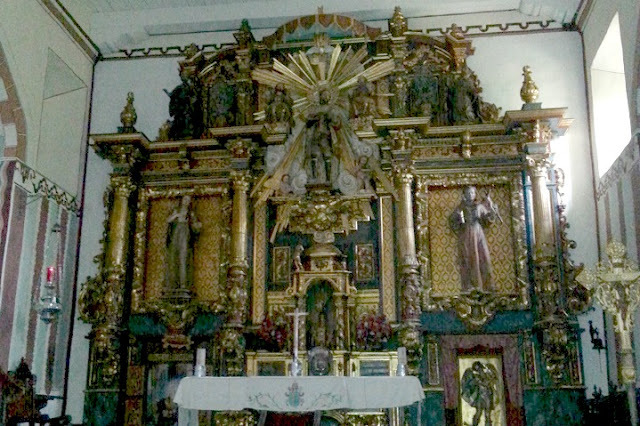 The most important part of church is hearing our old country language NOT receiving Christ in the Eucharist or being able to worship in the same rite (but different sui juris church) in communion with Rome. Allow and encourage your children to use a 'smart' phone at all times. If your children are not hooked up to internet content at all times, they will be out of step. The world is changing so swiftly, your children need to have unfettered access. Under no circumstances keep tabs on your children's internet usage. They need to know that you trust them. In addition, have a computer and television in your child's bedroom. Under no circumstances should you have standards for media usage- they need to know that you trust them to make good choices. Very importantly, never control when they use the smart phone provided for them. They need to stay connected to friends, celebrities, and the day's viral videos. And so do you. As a mom or dad, it is important to stay your own person. Show your children that your life is important and answer every notification, text and call immediately. This is your 'me time.' A great place to use phones for the entire family is at the dinner table. Just be careful not to spill milk on the phones because getting a new phone can take a while and it is very stressful to be unconnected. Church services are the perfect time for your children to use their smart phone. They will be certain to stay quiet and sit still if they are watching the latest viral video (use subtitles when possible!) or keeping tabs on their favorite boy band. Scrolling through their instagram feed so they can 'keep up with the kardashians' will keep them in the pew so grandma is satisfied having the family together for the Easter service. Writing emails can be a little too distracting to fanatics who actually try to pray during church, but teens these days usually text and IM- easier to disguise and using less movement. For younger children, keep it simple by handing them your phone to play games like candy crush and grumpy birds. 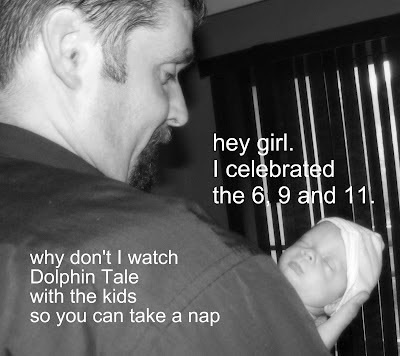 Children must be entertained! They will thank you for protecting them from a bit of boredom and the fancy language and theology that is so out of date in 2016. Gotta stay with the times! "The Shopping Season is at hand. Some people will spend it jostling for bargains; others will pass the time lamenting the commercialization of Christmas. 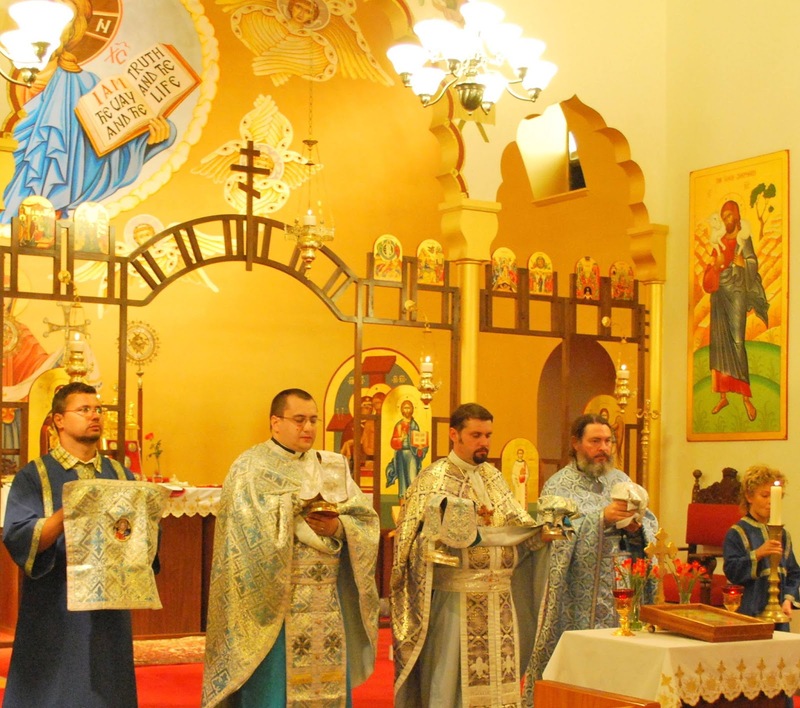 The Eastern Churches, on the other hand, encourage their faithful to prepare for this feast by increasing their involvement with the things of God. 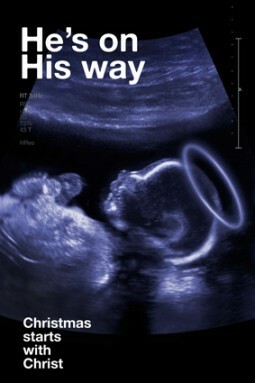 Please download this wonderful guide to help you prepare for the glorious coming of our Lord!" 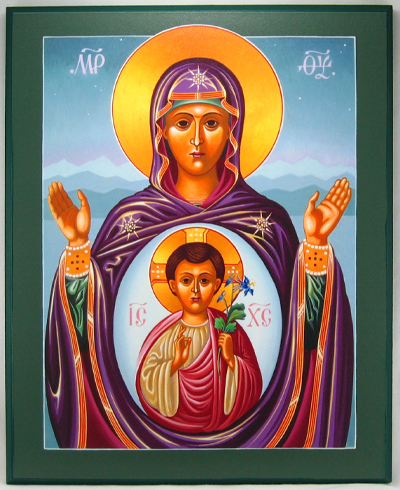 The Nativity/Christmas Fast begins tomorrow for Byzantine Catholics and Orthodox Christians on the Gregorian and revised Julian calendars. We prepare for the nativity of Our Lord by fasting, praying and almsgiving. it might not feel as rigorous as Great Lent before Pascha (Easter), but we do try and live a quiet, repentant season of preparation and save the Christmas parties for the Christmas season that begins on December 25th. "In anticipation of the advent or “coming” of the Messiah that we celebrate during the feast of the Nativity on December 25, Byzantine Christians enter into a time of preparation known as the “Nativity Fast” (“St. Philip’s Fast” or “Pilipiwka” since it begins each year on November 15, the day after the Feast of St. Philip the Apostle). As with most periods of fast before the great feasts, the Nativity Fast is a time for a deeper interior conversion to Christ by embracing the four forms of Christian praxis. Below we offer some suggestions for ways to put into practice the four forms of Christian praxis or asceticism during the Nativity fast. Spend at least 15 minutes in the morning and evening in prayer each day. 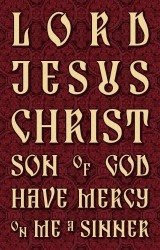 Pray the Jesus Prayer, “Lord Jesus Christ, Son of God, have mercy on me a sinner.” 100 times a day. Display an icon of the Nativity in the prayer corner of your house or room and spend 10 minutes each day meditating on the saving mysteries surrounding the story of Christ’s Birth. Receive the Mystery of Repentance (Confession) at least once during the fast. Use the prayer guide with family or friends. Abstain from meat and dairy products on Monday, Wednesdays and Fridays. Dairy is allowed on Tuesdays and Thursdays, but still no meat. Fast from certain foods, such as soda, alcoholic beverages or candy. With each meal, eat only an amount that is sufficient for nutritional needs, without feeling full. Fast from select forms of entertainment (television, movies, radio, internet, novels, etc.). Give your time, talent and/or treasure to a parish outreach or a special charity. Increase your parish tithe for the season. Clean out your house of any excessive items or possessions and share them with the poor and needy. Purchase gifts for homeless or needy children or families. Meditate on the Ten Commandments or the Beatitudes and identify one or two of these to put into practice each week. Examine your conscience each night, asking for forgiveness from God or others as needed. Find opportunities to share your faith with others." 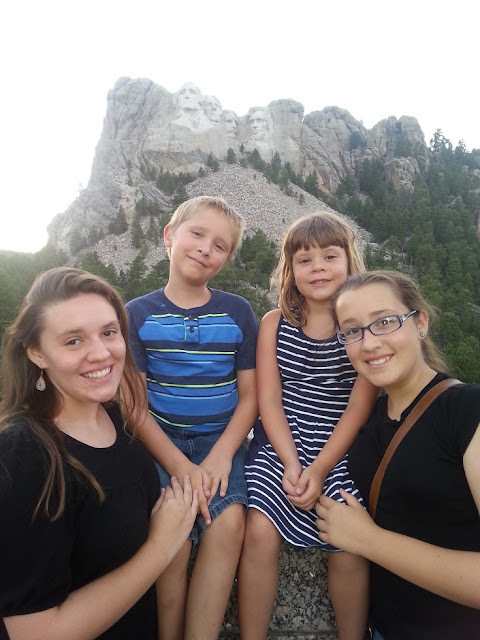 I'd love to be able to take my children on frequent overnight retreats. It just does not happen. We are too busy, and so are my teens. 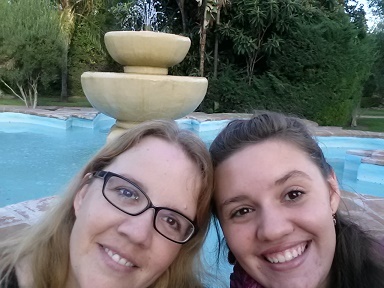 We, my oldest and I, decided to spend a full Sunday together in prayer after our Saturday late evening vigil at our Byzantine Catholic mission. We started with a reflection on gratitude given by our family priest- husband and father. 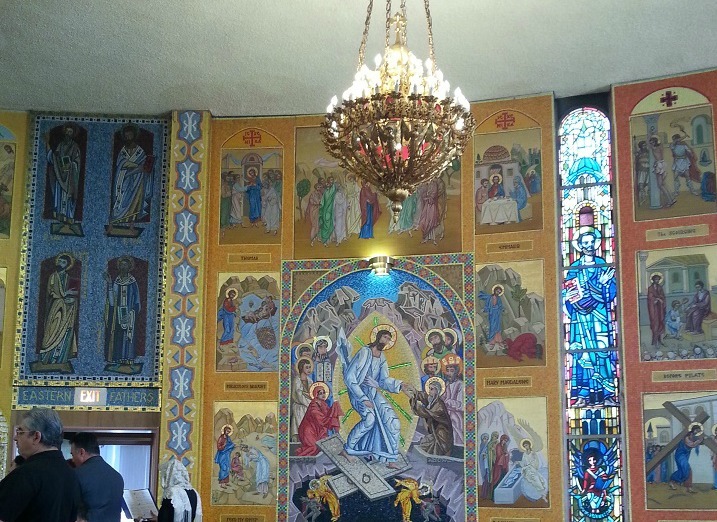 Then, we were off an hour away to visit a Melkite Catholic church we had never seen before. We appreciated the beautiful mosaic-style icons that covered all the walls. 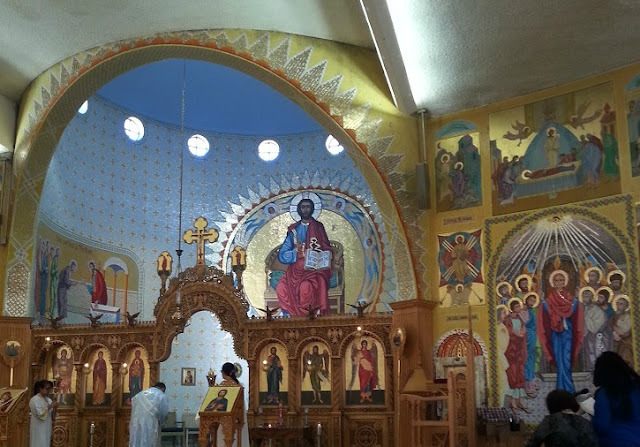 We stayed for the Divine Liturgy, but left early to get to a Ruthenian Catholic church to go to confession- the only sacrament that we cannot get from priest-father! We were blessed to go to confession and then stayed for the Divine Liturgy with our Romanian Byzantine Catholic community. We ended our day with a rosary at the San Fernando Mission. It was a beautiful experience seeing the diversity of the Catholic Church this past Sunday. Now, we need to find the Syrians, Copts, Armenians, and Chaldeans! My oldest is a senior in high school. She was accepted to her first choice of university on October 1st. 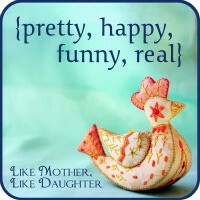 It is time to be more intentional with spending time with my two teens before they fly the nest! When I was little, I was known as the 'bookworm.' My Bachelor's degree is in English. I teach English at the college level. I take the children to the library and utilize three library cards to be able to bring home all their treasures. I discourage the twaddle of Barbie easy readers and Berenstein bears. I encourage the fun (and non-Twaddle, in my opinion) of Elephant and Piggie, and Redwall. I want my children to be readers, and they are. The youngest is technically behind in her reading skills, but there are ten books in her bed at the moment. Reading is her entertainment, and the ability will come. Of course, when videos are severely limited and video games are not on their radar, it is not surprising that books become friends. reduce television/videos and video games to basically nothing- this means parents, too- we use dress-up, board games, music, audio books and podcasts besides playing outside when we need a little fun besides reading a book. have poetry teatimes once a week... now, my children equate a sweet treat with reading poems together- we use a stack of poetry books bought new, from library rescue sales, thrift shops, and the occasional library book. We really enjoy the 'official' Poetry Teatime Companion. do you, mum and dad, read for pleasure? gulp. Besides the constant read alouds, that are very pleasurable for me, I do not read enough for pleasure. I am trying to remedy this with books that are not quite age-appropriate for the children, but good for me. I recently have joined my very first book club of my life. We read All the Light We Cannot See last month and will continue with Love & Friendship, or Lady Susan. It feels good to read and discuss. Who knew? I really regret being in my 40s and new to book clubs. do you 'follow' this blog on Instagram? As IG is a micro-blogging platform & easy to just post something, I have been posting more over there...you are welcome to join! 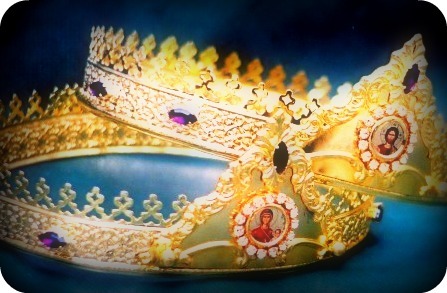 "Dear Panyi Matka, As a Roman Catholic with an unending love and passion for Eastern Christianity, the Priesthood, and my girlfriend, I want to know if you could provide me with some guidance as to the possibility of moving into the Byzantine Rite of the Catholic Church and becoming a married priest. Thank you and may God be with you and your family always. In Christ, S---." My first interior response was along the lines of- here is another Latin-rite Catholic 'using' us Byzantines for our traditional Liturgy/married priesthood possibility/opportunity to be a big fish in a very small pond instead of one in five thousand at the local Roman-rite church. He would put up with our smallness and different-ness for a year or two and then go back to his Latin roots (literally- I think the writer is Latino or Italian in origin) But then I got a hold of myself and re-read his question. Father Maximos of Holy Resurrection Monastery has stated that a person's primary vocation is either celibacy or marriage. This might seem counter-intuitive because the priesthood is an eternal mark on the soul while marriage is not, but one should begin with discerning whether celibacy or marriage is God's plan for their life. The priesthood is a possibility with both a vocation to celibacy (a vocation to celibacy makes being a monk or priest monk possible) and marriage for a man. But the Roman-rite has not had a married priesthood as a normal matter of course for hundreds of years. So what does this mean for a Latin-rite man's discernment process? Even if he likes Liturgy and theology and the Church and the idea of becoming a priest, if he has discerned marriage, the priesthood should be off the table. The diaconate is a distant possibility, but diocesan policies usually limit study for the diaconate to a man who has been married for many years. So as heartless as it sounds, a Latin-rite man who has discerned marriage (yes- even before he has found a future wife-possibility) should realize that the priesthood is not available to him. He should not attempt to finagle a way such as become Anglican and then attempt a change to Roman-rite Catholicism or become Byzantine-rite and then really be Roman-rite with bi-ritual faculties. This is just not right or holy. 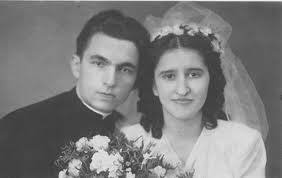 My husband- from the old country where most priests are married with children- discerned both marriage and a hoped-for call to the priesthood when he was seventeen. Everything education-wise and professionally has a connection to his priesthood and his obligation to support his family. When he was in seminary in his country, his bishop invited those seminarians who planned on remaining celibate to study for their Master's degree in Rome. He knew that he planned on getting married, so he declined the invitation. His integrity was more important than that. And I believe that God has rewarded his honorable interactions with his bishop. He was able to study in France for two summers and in Austria for a year. He was given permission to start a ministry in the United States. But he has never been to Rome. So in a very roundabout way, I am advising the writer to be honorable. If you have discerned marriage, then that is what you must do. If you feel the Byzantine rite truly calling your heart, then become involved with the closest church and begin the process to officially change your rite. I would hope that your girlfriend would change as well. You should change your rite with no thought to a future priesthood. You need to live about two years of being only Byzantine before you should contact the bishop. Practically, the Romanian and Ukrainian eparchies are more open to married men working towards the priesthood, but the Ruthenian eparchies are more pan-cultural and American. Be honorable and be honest with yourself. If your dream as a priest involves Ash Wednesday ash distribution, not singing Alleluia during Lent, preaching in front of a thousand people, rosaries and adoration, the Byzantine-rite will not fulfill the dream. This is why living a Byzantine life for about two years is important for you to discern if this is the life you want. In addition, every pre-seminarian and seminarian (of all rites) must realize that they will or won't be ordained at the bishop's pleasure. The priesthood is not a right even when one has all the education. In the Byzantine rite of ordination, the bishop asks the people- Is he worthy? and the candidate hopes and prays that the people will sing, "Axios!" on a very practical note: a married man hoping to be ordained a (Byzantine-rite) priest should figure out how he will support himself and his family. Byzantine-Catholic churches are generally small and poor. If it is very small (like our two missions), he can plan to work an outside job. If grandma or auntie live close by and are willing and the church is too big to be away from, the wife might work outside the home. Different families have different solutions. The writer needs to prepare himself for a future with or without the priesthood. 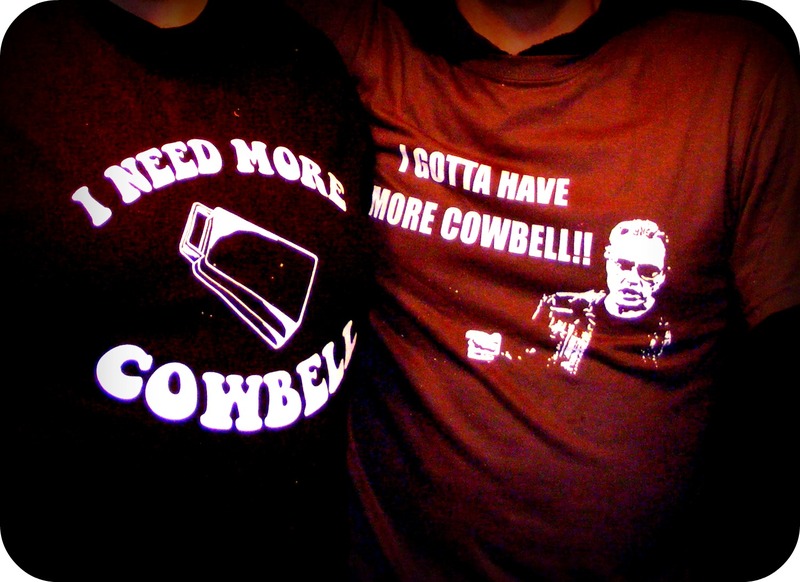 ....And maybe most importantly- the wife needs to be enthusiastic about a possible priesthood. She doesn't need to delude herself into thinking that all will be sunshine and roses. I knew that the day of my husband's priestly ordination was the day that satan really had the desire to destroy him and his family. But I was still game for the adventure. But if the girlfriend/wife is not hopeful and positive about it, stop. This may mean that he should not pursue this path. He was married first. As painful as it might be, he is called to be married first and then find a way to serve our Lord in His Church- just not with the priesthood. We drove over 6,000 miles (around 9700 kilometers) in 12 days at the end of summer vacation for our much-awaited 'Great America Roadtrip' tm. We drove all day and slept at a different place every night except for 3 nights at my sister and her family's place in Indiana and 2 nights at our cathedral in Canton, Ohio. But the most special part of the trip was that priest-husband-father was able to come with us! He missed out on the majority of our earlier three week stay with the rest of the family up north, so we were thrilled when he was able to come on the road trip. The beginning of the trip was at Mount Rushmore, and we then visited the Grand Canyon at the tail-end. Although Mt Rushmore was astonishingly beautiful and made us feel patriotic, we all agreed that the Grand Canyon, not made by human hands, was far superior. But photos of both sites do not do them justice. Try and visit these landmarks and see them with your own eyes. school has begun... how about a last huzzah? 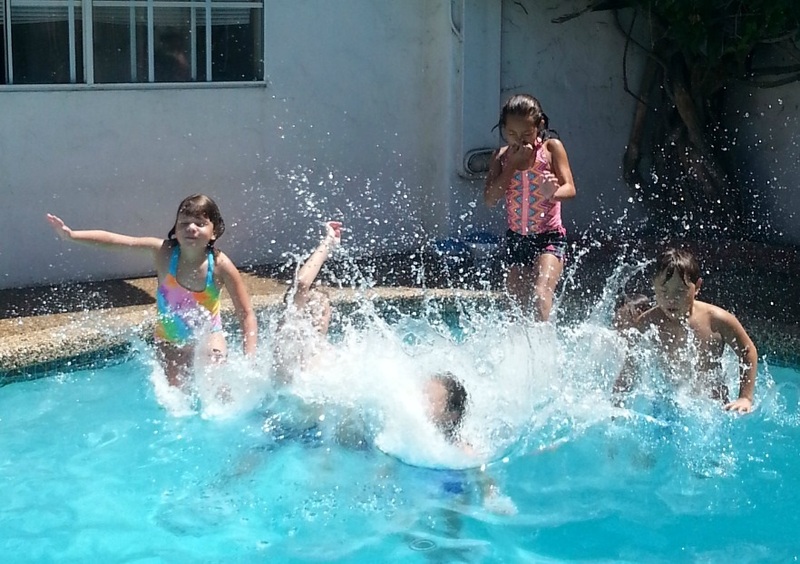 last week, the little kids and I went to a fellow Catholic homeschooler's home for some fun and frolic. The schools around here start smack dab in the middle of August- we do the same, but we start slowly. 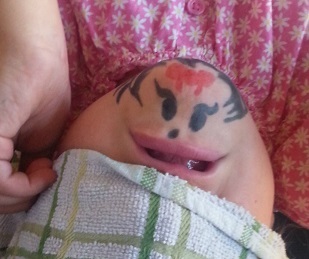 Homeschooling gives a lot of flexibility. The big girls are very busy with their high school and college work. As for the little ones, we have been doing some morning basket, some reading (as always!) and math. Tomorrow, it will be full throttle. I am finishing up 'Five in a Row' (really just 'three in a row' for our needs and interests) 2 and 3 this year as a morning basket activity and using 'Moving beyond the Page' (ages 8 to 10) as our primary curriculum for the year. Math is Singapore, Teaching Textbooks and Khan Academy when needed. 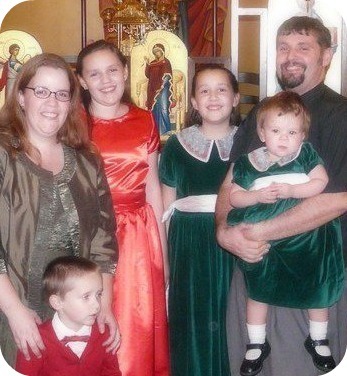 My blog's tagline has always been "thoughts on family, home & faith from a Byzantine Catholic priest's wife." And the word "faith" is what drives me to not post anything! I am well aware that I am no expert in our theology and history, even though I am in the nitty-gritty, practical trenches. I cannot write about the nitty-gritty or I get in trouble. I cannot write about our theology or history without the fear of getting a minor detail wrong. In any case, there are many blogs and websites that do a much more complete job. I am supposed to be homeschooling, teaching at the college, and cooking and cleaning and gardening when it comes to mind. So, unfollow this blog if you don't want more family and home and less faith. We still are full of faith, thank God, but I just don't have the energy to think of deep, theological blog posts- not that they ever were that deep. 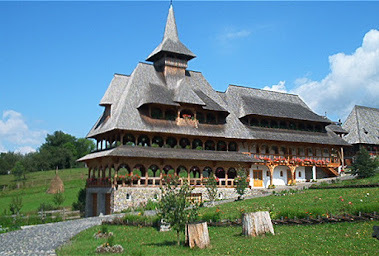 For a beautiful blend of family and theology, click onto Every Home a Monastery. You will love it! If you are not averse to random family and home photos, follow me on Instagram at instagram.com/anne_boyd - I hope to 'see' you soon when I post my famous gluten-free chocolate cake recipe! I have been a priest’s wife for just under two days. Please pray for me. I have no idea what the future has in store for us!! Please pray for this new priest, priest's wife, and any children they have! Bless this marriage and his priestly ordination and grant unto these Your servants a peaceful life, length of days, chastity, love for one another in a bond of peace, offspring long‑lived, fair fame by reason of their children, and a crown of glory that does not fade away. Account them worthy to see their children's children. Keep their wedlock safe against every hostile scheme; give them of the dew from the Heavens above, and of the fatness of the earth. Fill their houses with bountiful food, and with every good thing, that they may have to give to them that are in need, bestowing also on them that are here assembled with us all their supplications that are unto salvation. Flannery O'Connor, writer and Catholic of great renown, said that she couldn't be a saint, but she could be a martyr "if they killed her quick." 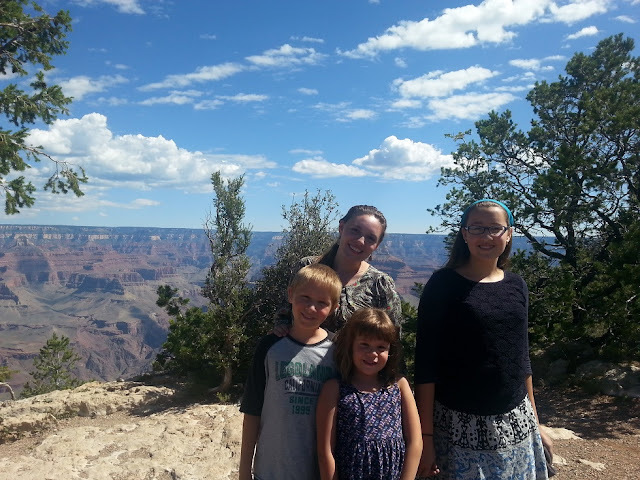 G.K. Chesterton asserted that “the most extraordinary thing in the world is an ordinary man and an ordinary woman and their ordinary children.” Saint Bernadette of Lourdes said that God had used her for an extraordinary purpose and then put her back in the corner like a broom. Let's be faithful enough to be like 'Bob' in the (parody) troparion above. Let's be martyrs, witnesses to Christ even if we are ordinary. Let's be brooms. May God grant you many more blessed years in health and happiness, Bishop John-Michael Botean! Take a look at this informative article on Byzantine Catholic priests' wives! We are not 'showcased' very frequently. 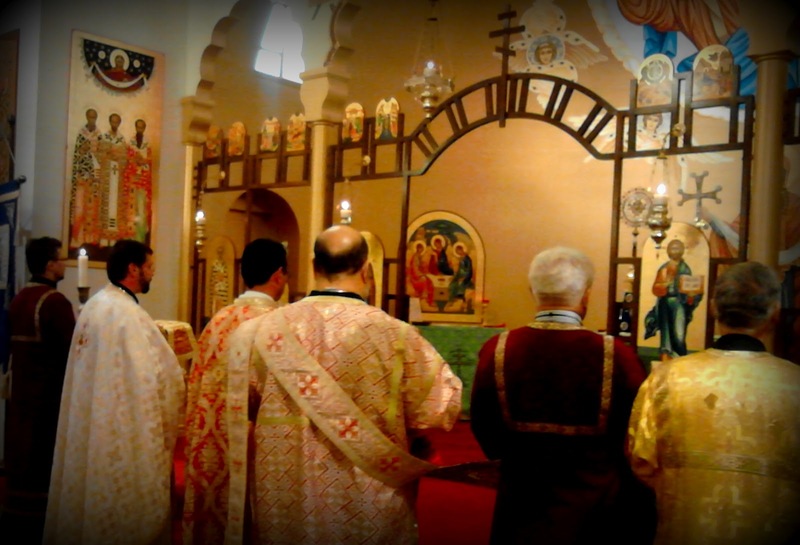 We are just living our lives, the way we have traditionally lived from the beginning of the Eastern Churches. 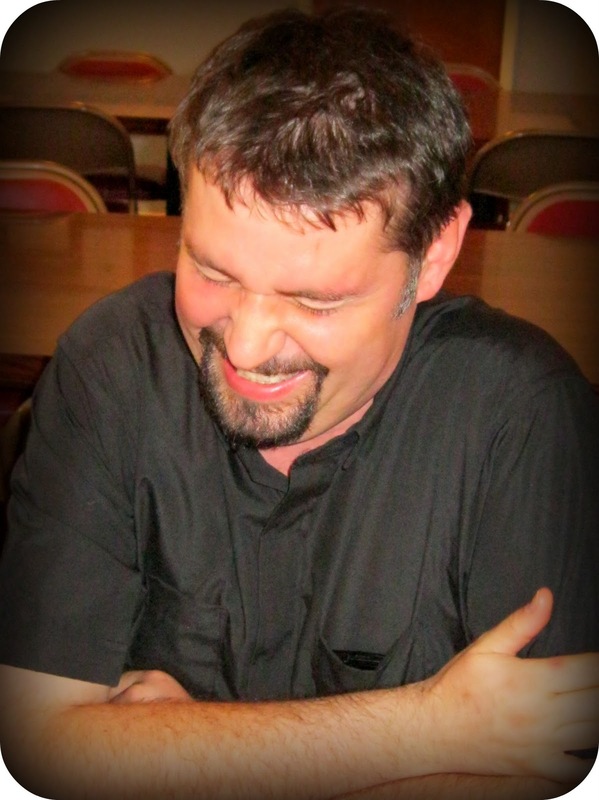 Thank you to writer Peter Jesserer Smith for taking the time to interview many priests' wives. pretty funny happy real politics- Donald Trump or Hillary Clinton? 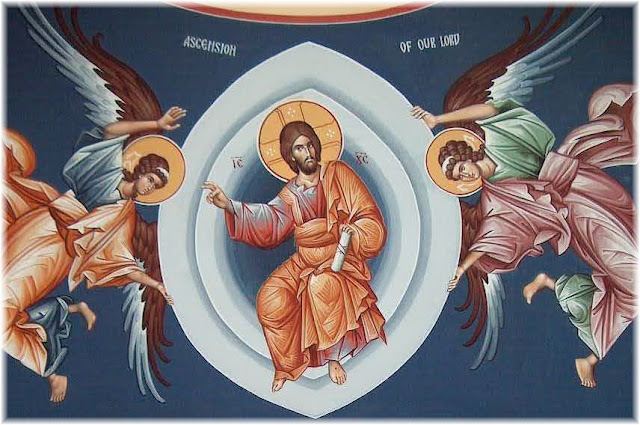 pretty- Today is the feast of Christ's Ascension on the Gregorian calendar! Have a blessed day- now, after 40 days, we Byzantine Catholics stop singing 'Christ is risen' until next Easter. happy- It is only early May, but academic-centric homeschooling is winding down for the little ones with field trips and swimming lessons increasing in frequency. They had their last poetry recitation of the school year last week. Boy recited Ozymandius, and Girl recited Now We Are Six. The big girls wowed the younger crowd with their winning performances of Charge of the Light Brigade and Vain & Careless. funny- I think this is funny/cute. I recorded Girl's poem for her to memorize. I found her dancing to the recording with her eyes closed....I think we will memorize her Shakespeare lines next year like this! Watch her on instagram here. 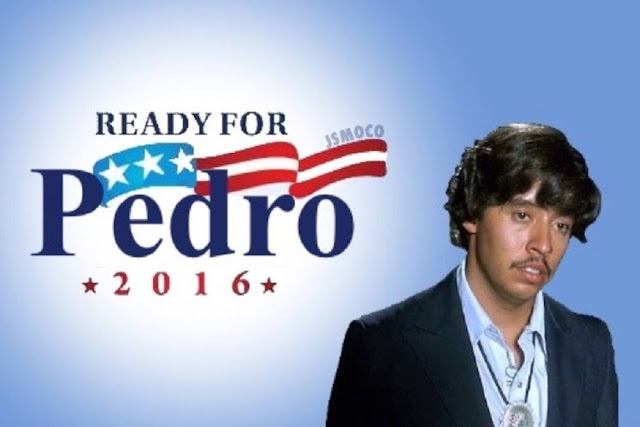 real- I don't get political here, but I do confess that I will be voting for Pedro. In 2013, I wrote a post entitled '7 reasons NOT to marry your Byzantine Catholic seminarian boyfriend,' I was informed recently that this post betrayed my bitter and resentful heart, the ranting of a priest's wife who perhaps does not want to be one. As you might surmise, I disagree 100% with my critic and stand by my realistic view of married clergy life. I did feel inspired, however, to write a positive post with no qualifications or cautionary tales. Read my 'don't marry him' post for the other side if you like! 1. Why marry a seminarian? 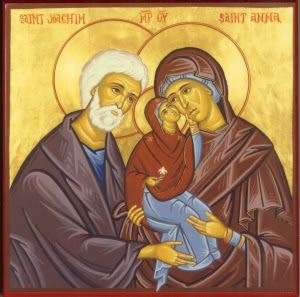 He is bound to be the spiritual head of the household- your own Saint Joseph, protector and provider for your family. 2. You will build character. You will be challenged. You will work on virtue. 3. You can be assured that your husband is constantly praying for grace in marriage and for your salvation. Lots of husbands are like this, but a priest-husband is the best of them all when it comes to prayer for family. He sees the 'wages of sin' up close every day, so a holy priest-husband is alert to attacks from the evil one and prays and uses the sacraments to ward them off. 5. You really will be the reason why he is able to minister to people on the saddest, most tragic, worst days of their lives. Knowing that there is a family at home depending on him will motivate him to work hard for the kingdom of God- and for you. Knowing that there is a wife waiting at home with a cup of chamomile tea might make it easier to make a sick call in the middle of the night! 6. You will be honored by being close to God is His sacraments. You will most likely need to be at every marriage, baptism and funeral to support your husband in his ministry. You will probably help at the house blessings as well, seeing families in their natural setting and getting to know them better. Because we borrow space from a Roman-rite parish, we have to reserve the Eucharist in our home for the Pre-Sanctified Liturgy on weekdays during the Great Fast. There is a lot of grace waiting for you and the children there in the little tabernacle. 7. When he is dismissed, discounted, disrespected because of his marital status, you and the children will make it worth it. You, wife of a Byzantine Catholic or Orthodox seminarian, will have a front-row seat to seeing God's grace in action! The sacraments of marriage and holy orders really do work if we let them! The Wind in the Willows is perhaps the greatest example of how a classic book is simplified and sometimes changed to become a proper Disney film. While I enjoyed the Disney cartton and the Disneyland ride depicting Mr Toad's 'wild ride,' the book is so much more. The rich, description-filled language makes a great read aloud. I waffle between Rat, Mole and Badger being my favorite character; Toad never makes the list. Millions of Cats is a simple book with just three characters- an old man, an old woman, and their kitten (plus a million more cats). I love the wood cut-tyeillustrations. I hope you know Caps for Sale! It is a classic. 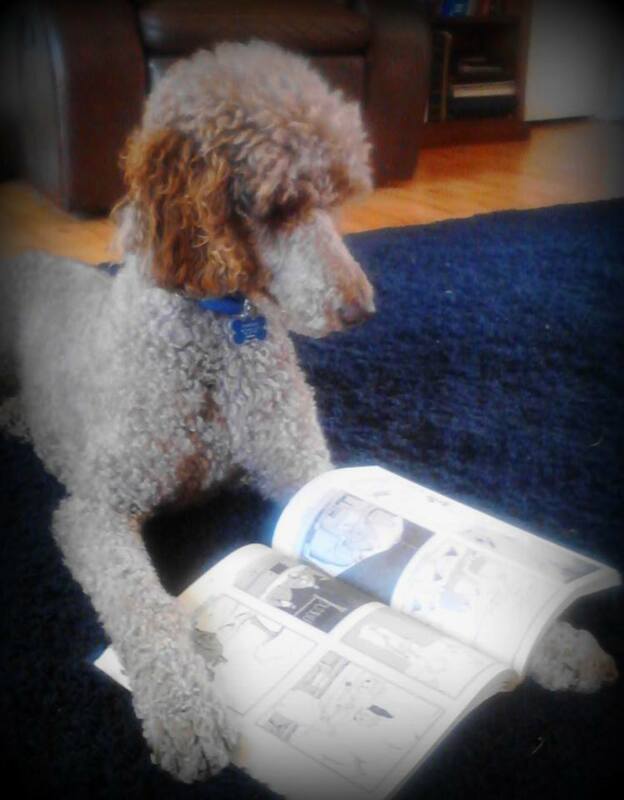 The Story of Ferdinand is perfect for my gentle boy. Sometimes it is okay to not be what people expect you to be. Not everyone has to be ambitious and aggresive. I suppose the message of this book is not very American!